Baia das Pedras from Uaná Filmes on Vimeo. 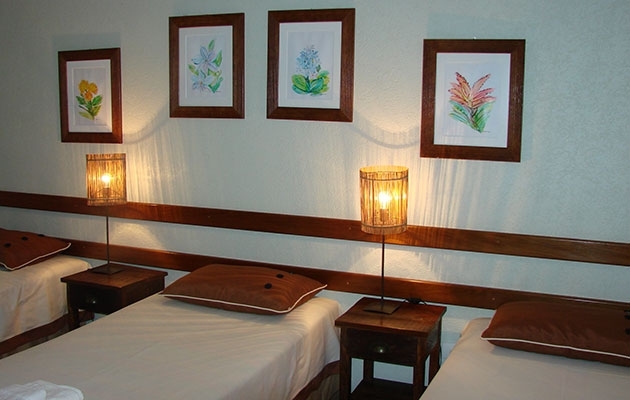 The delightful lodge sits beside a massive floodplain called the Vazante do Castelo. In the wet season, this floodplain fills with water from nearby rivers. Aquatic plants filter any sediment in the water, creating a clear water aquarium teeming with life. As the dry season approaches and the water retreats, caimans and various opportunistic birds and mammals move in to gorge on any aquatic creatures stranded in shrinking pools. In addition to the floodplain, there are also forests, lakes, fields and swamps to explore in this boundless property. All of these different habitats provide wonderful wildlife viewing opportunities. Even before one has left the vicinity of the lodge, there are so many different bird species to see – for example, the trees which fill the lodge’s garden are usually bustling with the squawks and chortles of macaws and parakeets, while egrets, herons, storks and spoonbills meticulously patrol the fish-filled waters of a large, freshwater lake just a short stroll from the lodge. 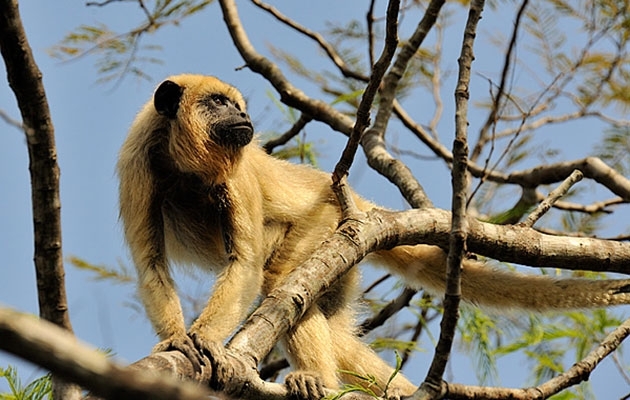 Mammal viewing is equally rewarding at Fazenda Baia das Pedras. 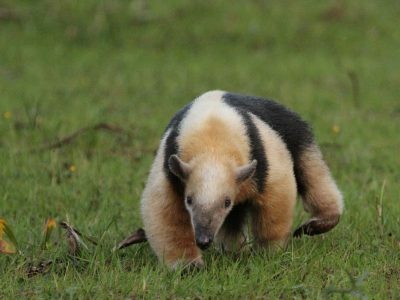 Some mammal species to be found here include giant anteaters, Brazilian tapirs, marsh deer, black howler monkeys, coatis, tayras and even pumas. 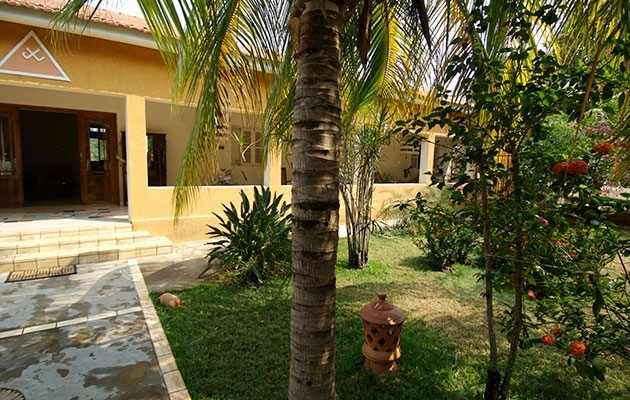 The main house of the lodge is very charming and spacious. 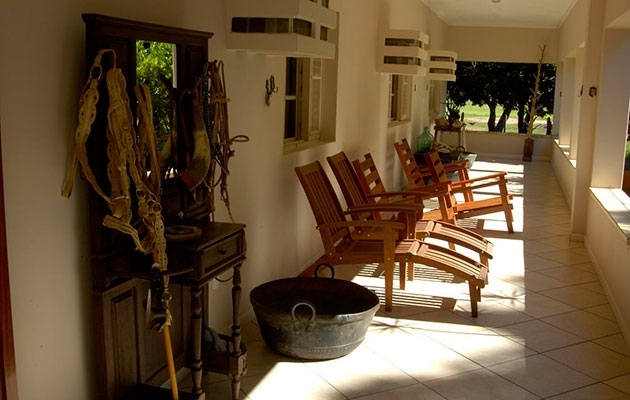 There are communal areas both inside and out – whether you choose to stretch out in a hammock under a mango tree, or peruse one of the lodge’s many interesting books, there are several ways to relax in this beautiful and serene environment. There is a TV room and a small shop at the lodge. 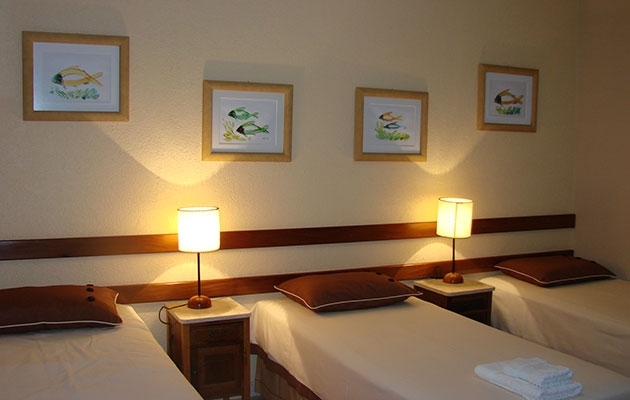 The guest rooms (5 guest rooms in total) are lovely and comfortable with a variety of room types to suit each guest’s needs. The meals, which are served as a buffet in the main house of the lodge, are exquisite, diverse and plentiful. 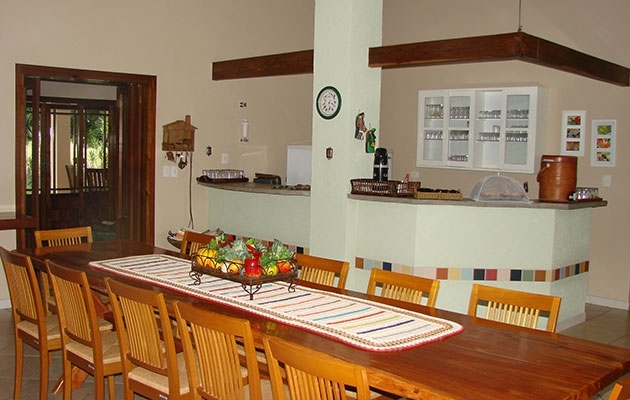 Guests eat together around a long table, which is a great way to meet other guests at the lodge. 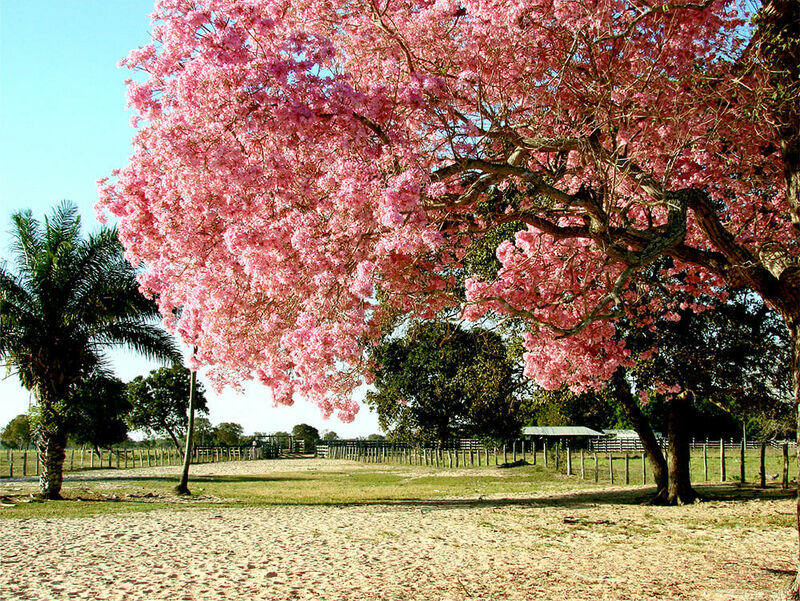 This is a wonderful way to explore the variety of natural habitats at Fazenda Baia das Pedras. 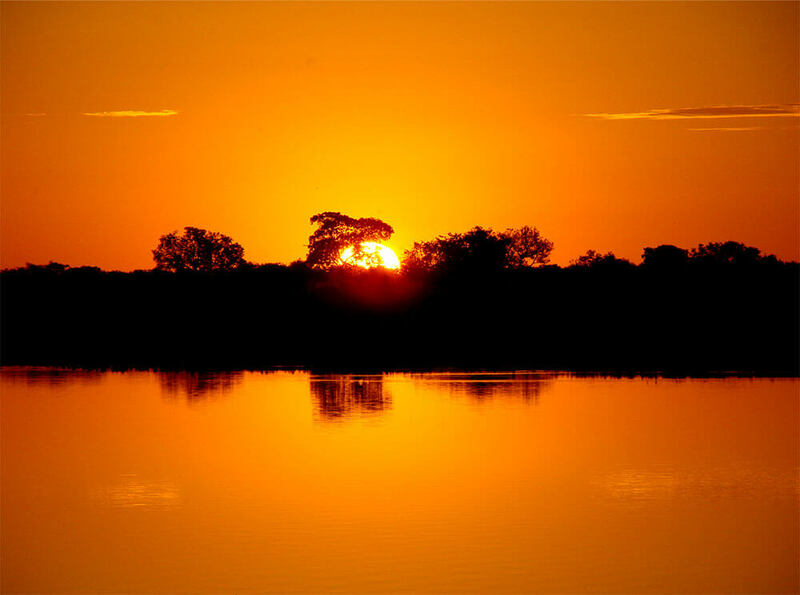 You will be amazed by how much wildlife there is to see here! This activity takes place in a beautiful, freshwater lake bristling with life. 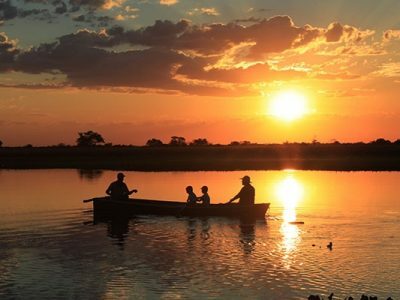 Drift silently through the water in a comfortable and stable rowing boat as you marvel at the sheer quantity of animals relying on this year-round body of water for their survival. Perhaps you’ll see a kingfisher perched on a low branch, searching attentively for an unsuspecting fish in the water below, or a marsh deer standing motionless like a sculpture, on a grassy beach. This environment never ceases to surprise! 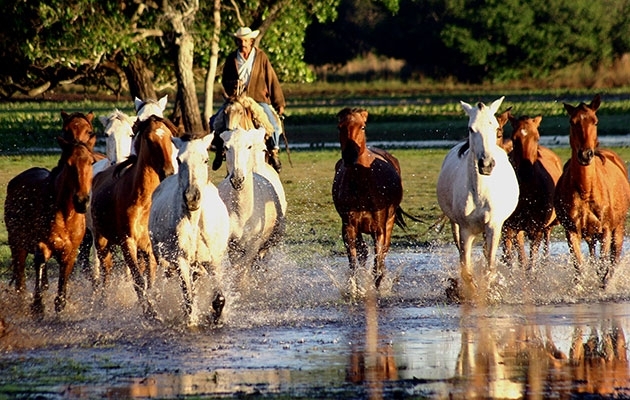 You will ride on Pantanal horses, all raised on the farm. There are horses to suit every level of rider. Whether one is traversing a shallow lake, or meandering along a narrow forest trail, there is no limit to where one can ride here. 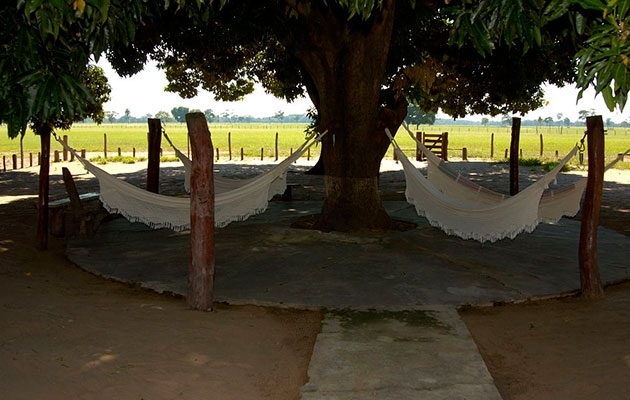 As well as being a lodge, Fazenda Baía das Pedras also operates as a low-density cattle ranch. 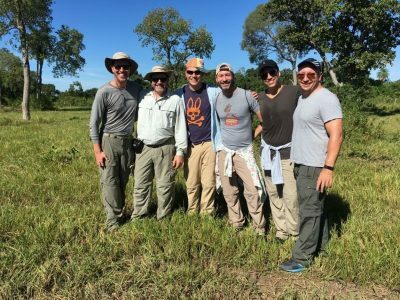 During your stay here, you will have the opportunity to learn about all of the very interesting traditions and customs of this age-old practice in the Pantanal. You can accompany the cowboys to see how they skillfully work the cattle. 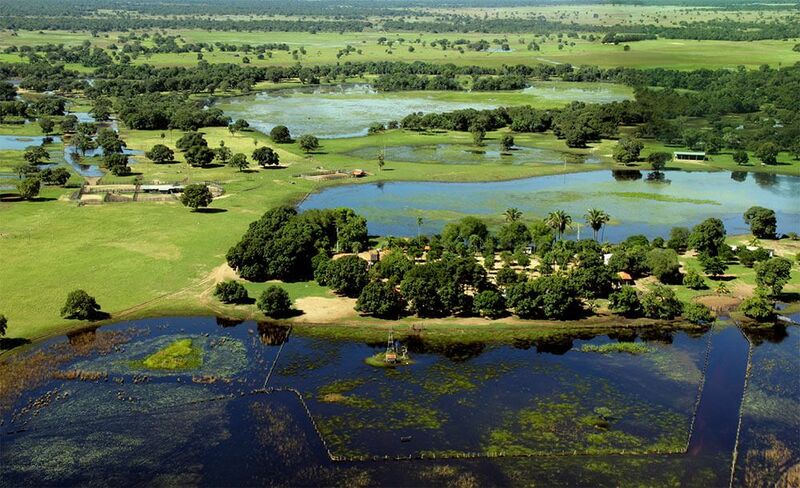 We´ll take you to the remote and small sized Fazenda Baía das Pedras positioned on the edge of the Vazante do Castelo, an incredible natural open field area abounding with extraordinary wildlife and nature.